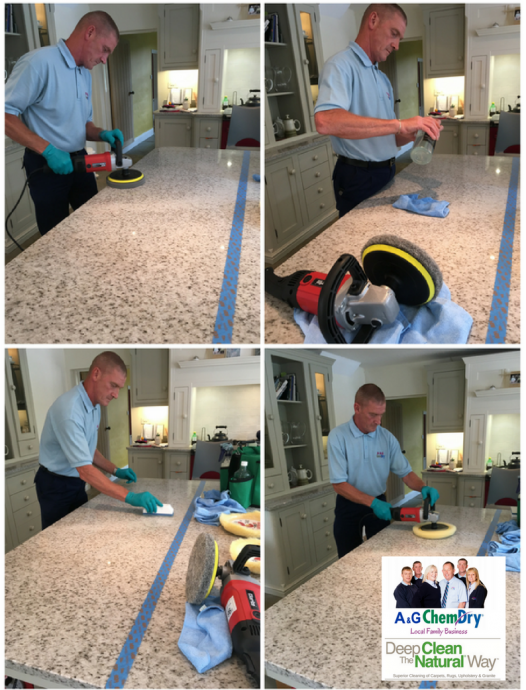 Our Granite Worktop Cleaning service is a must for every home with granite worktops. Even if you opted to have a sealant applied to your granite surfaces when they were fitted, over time it can wear thin. As a result, this then leaves your granite exposed to build up of residues, liquids seeping into the surface and water spots. This can have have a dramatic impact on your previously beautiful surfaces. Healthy Kitchen – Healthy Home. Regular maintenance (including Granite Cleaning, polishing and sealing) of your granite worktops is critical to helping you protect your investment and making it last. We see many quick-fix DIY type products offered for sale. But take care, as the majority will contain harsh abrasives that can damage the granite and leave it looking dull. Not with Chem-Dry! Yet, as you would expect from us, our professional Chem-Dry Granite Cleaning service uses green certified solutions. As with our carpet, rug and upholstery cleaning solution, these are safe and non-toxic. Our Granite Cleaning process safely and effectively removes dirt and residues from your worktops, penetrating deep inside the porous surface. Consequently, dirt, grime and bacteria are eliminated. We remove build-up of dirt, grime and germs from your granite surfaces with our proprietary Granite Cleaning Solution. Because our solution is non-toxic, you can be confident that it’s safe for your family. And of course, your home will be cleaner and healthier when we’ve finished. Step 2 involves removing any remaining residues from your granite surfaces. Our handily named Granite Countertop Residue Remover is our trick of the trade here. Following this, we then seal your granite surfaces with a small amount of Granite Countertop Sealer. One of things you are going to love about this, is that it only takes 3-5 minutes to dry, not hours! As the Sealer penetrates into the granite surface, your granite surfaces are left with a powerful protective layer. Polishing your granite surfaces is the final phase of the process and for this we use our … guess what? …. Granite Polish! This step leaves your granite worktops revitalised and refreshed, with a bright and beautiful shine that you will enjoy for months, and possibly years, to come. We recently commissioned an independent laboratory to study the effectivenes of our Granite Renewal Process in multiple homes. This study found that our Granite Worktop Renewal process, in conjunction with a sanitiser, removes an average of 98.4% of bacteria from granite worktops. 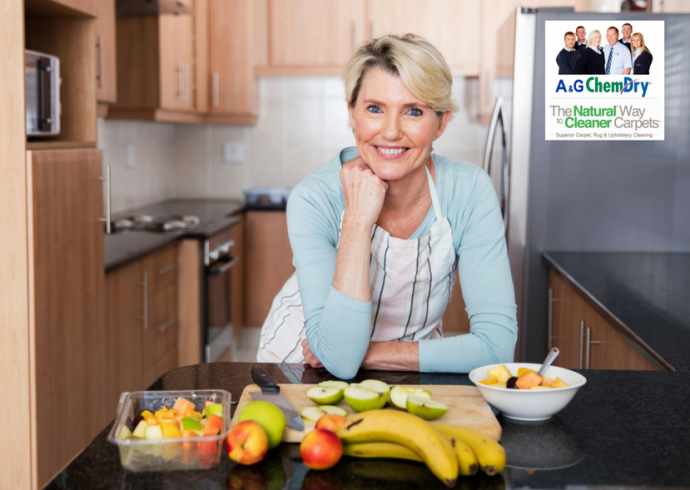 Choose A&G Chem-Dry when you want to refresh and revive your granite, for cleaner surfaces, a brighter shine and a healthier home. When we are choosing a company to carry out work in our home, we always like to get a recommendation and second opinion. We’re sure you feel the same, so here’s what a few of our Granite Cleaning customers say. 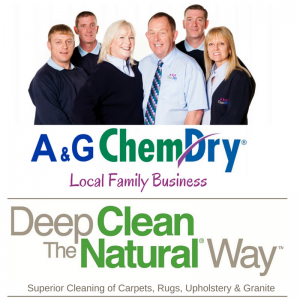 I chose A&G Chem-Dry as I like to support local companies. They haven't let me down and have always been very good. 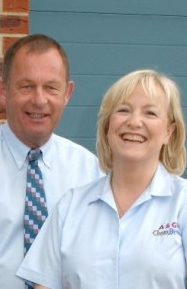 I am delighted with all the work A&G Chem-Dry carried out - very. The service could not be improved. Brian was very friendly and courteous and we are very pleased with the result. Excellent. Really happy with my granite worktops, they look beautiful and Brian is a star. 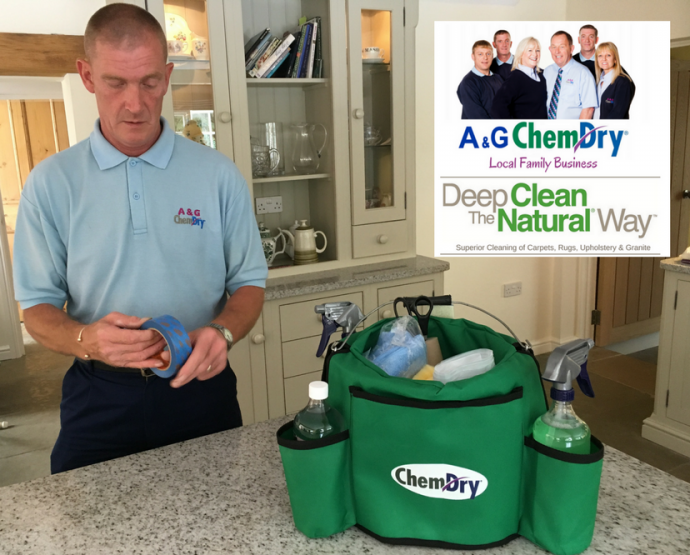 We are delighted with the Granite Worktop Cleaning service from A&G Chem-Dry. Very. Our granite work surfaces look better than when new!